Fancy Round Chain Cutting Machine is an efficient machine for creating unique and precise designs on round chains, making jewelry designers add new styles in their portfolio. 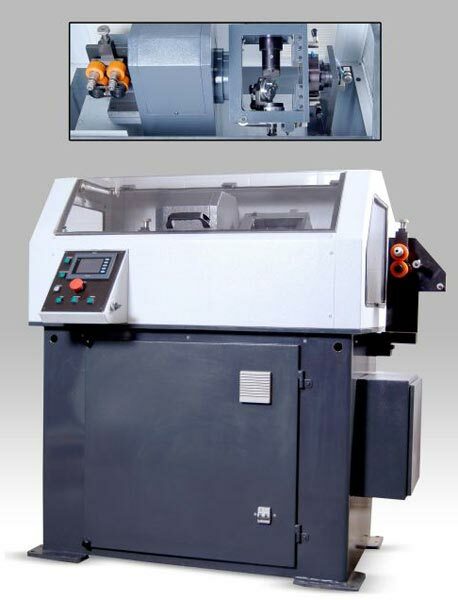 Equipped with AC motors and drives, Fancy Round Chain Cutting Machine guarantees efficient performance for long run. From our end, Fancy Round Chain Cutting Machine is supplied to various jewelry-designing units based across India, Middle East, South Africa, Malaysia & Singapore. The machine can generate decorations on various round chains, tubes and wires in continues mode and at alternate intervals as desired. The machine is equipped with AC motors and AC drives to ensure life long maintenance free working. The spindle in coupled with variable AC drive which gives flexibility to change the speeds as per design requirements. The machine is equipped with programmable logic controller. Stored designs can be selected as desired thus giving flexibility in production and is user friendly.